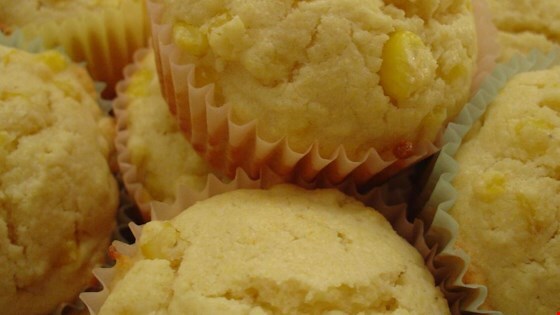 "These muffins are very similar to the ones found in a famous down-home cooking restaurant. They're so simple to make and taste great because they have real pieces of corn as well as corn meal." This vegan cornbread is made with whole-wheat flour and agave syrup. These muffins were very heavy and dry - would not make them again. Very nice and light -- great with chili. I might increase the honey next time to add a little more sweetness. I made them as mini-muffins -- just the right size for the kids.